Yuki Saito is a Japanese singer, songwriter, actress, essayist and poet. Saito is a member of The Church of Jesus Christ of Latter-day Saints and is known for her refusal to work on Sundays. Saito’s father owns a well-respected and known tailoring shop in Yokohama, Japan. Her brother, Ryuji, is an actor. Saito attended Kanagawa Prefectural Shimizugaoka High School. She runs a blog (written in Japanese) called Famme Fatale and enjoys poetry, illustration and writing books. 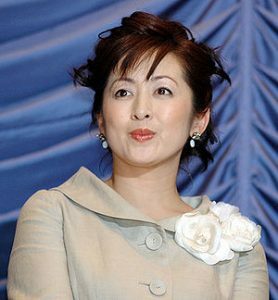 She married Nobusayu Isarai in December 1994 and together the couple has one son and two daughter. Saito works under her maiden name. The single “Sotsugyo” and album Axia marked Saito’s debut in 1985. It was also that year that she was cast in the television show Saki Asamiya, where she played the lead role. Since then she has been in several television and film roles. As for her music career, Saito has 21 singles and 12 albums on her resume. She’s also been featured in other collaborations and compilation albums. Today, Saito occasionally takes acting roles but spends most of her time with her family. She also spends time writing, singing, and doing voice-over narrations.